The U.S. Census population schedule for Election Precinct 19 just outside of Tavares, Florida, in 1940. Individuals are identified by name, titles and terms, gender, age, marital status, race, relationship to head of household, birthplace, birth year, the last place of residence, and occupation. A notable resident listed in this record was Major Jack Cameron Heist (1919-1944), who appears on row 71. Maj. Heist was born to Henry S. Heist and Christina Heist on November 6, 1919, in Eustis, Florida. He received his commission on May 29, 1941, to serve in World War II. Maj. Heist was an Ammunition Officer for the XIX Corps. He died during his service in an ambush on September 2, 1944, near Thiant, France. He is currently buried at the Epinal American Cemetery and Memorial in Dinozé, France. Maj. Heist is one of 85 Florida residents interned at Epinal. 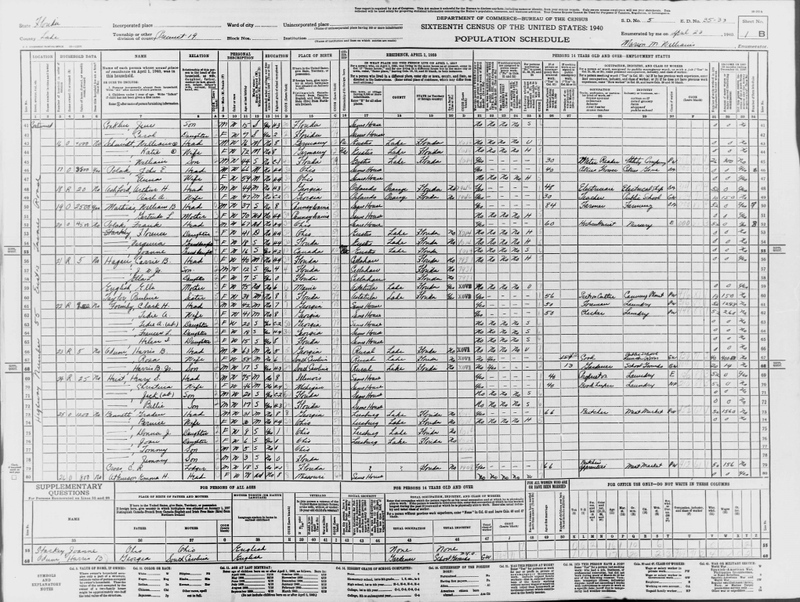 Digital reproduction of original census record by Marion M. Nelliauis, April 23, 1940. https://familysearch.org/ark:/61903/1:1:VTH1-65N. Originally created by Marion M. Nelliauis and published by the Bureau of the Census. "Libération de Thiant." La Voix Du Nord. http://www.lavoixdunord.fr/region/liberation-de-thiant-l-histoire-bouleversante-du-ia27b36952n2369051. "Maj Jack C Heist." Find A Grave. http://www.findagrave.com/cgi-bin/fg.cgi?page=gr&GSln=heist&GSiman=1&GScid=1991677&GRid=56372930& . "Local Men in Armed Forces." The Wilkes-Barre Record, December 24, 1942, page 6. https://www.newspapers.com/clip/4441134/the_wilkesbarre_record/. 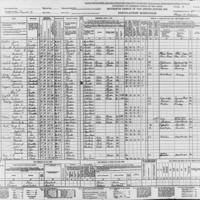 Nelliauis, Marion M.. “Sixteenth Census Population Schedule for Lake County, Election Precinct 19.” RICHES of Central Florida accessed April 25, 2019, https://richesmi.cah.ucf.edu/omeka/items/show/6974.